At BODYBAR Fitness we’ve taken proven Pilates principles to create our fiercely effective total body workouts. Graceful, flexible and strong are words used by clients to describe how they feel after one of BODYBAR’s transforming workouts. Our classes are designed to transform your body through unique resistance and cardio exercises while delivering the grace and flexibility we all want. By working back-to-back muscle groups through dynamic movements, isometrics and cardio drills you not only rev up your internal fat-burning engine, but you also release endorphins, dopamine and serotonin improving your mood and sense of well-being. 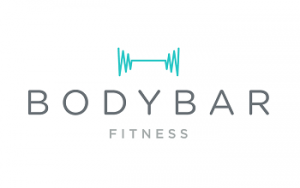 Since the first studio opened in the spring of 2012, the BODYBAR experience has evolved into a business model ready to grow through franchising. We are looking for entrepreneurs who are passionate about serving people and transforming bodies, minds and communities. We’re ready to guide you every step of the way - from selecting the perfect location, to completing our signature build-out, opening your doors and sustaining strong membership recruitment and retention. Leveraging success from our two flagship locations, BODYBAR Fitness could be your best investment yet.